The moon of the eighth lunar month (the ninth month by the Gregorian calendar) is known for its particular beauty. In the Heian Period (794 to 1185 A.D.) moon viewing parties reached the peak of their popularity, with nobles throwing lavish banquets while spending hours leisurely sipping alcohol and composing poems in competition together on lake boats or specially constructed moon viewing platforms and gardens. Though it has been around a thousand years, the moon viewing tradition still thrives in Japan, if not in a slightly different style. 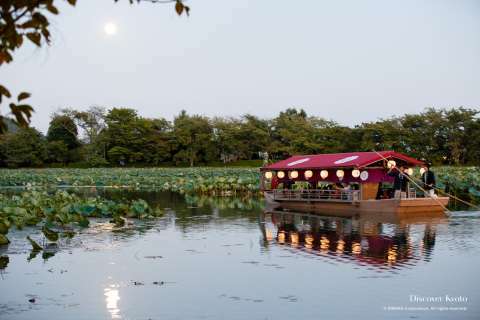 In Kyoto, visitors can enjoy a relaxed and cultural moon viewing reminiscent of the traditional Heian style parties, and one of the most popular of the several hosts you can choose from is Daikaku-ji in Sagano. 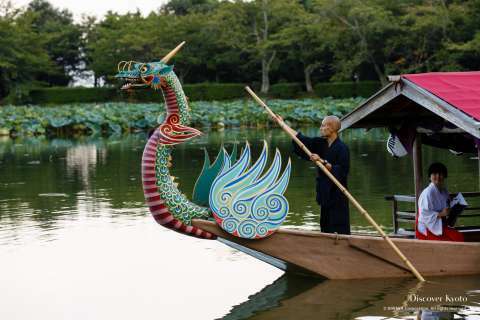 Participants can ride in ornately styled boats out on to the lake waters to enjoy the moon's reflection and the garden on the shore as well as take part in a tea ceremony. 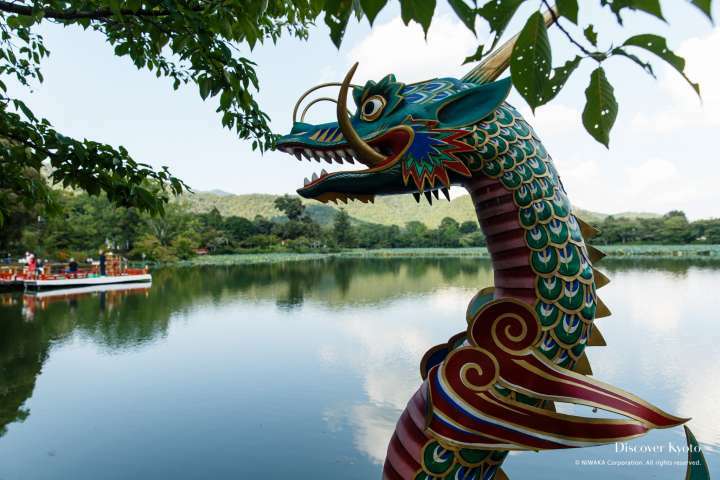 Music is sometimes performed as accompaniment, and food stalls pop up near the lakeside pagoda. Once the sun has set and the moon rises, Buddhist priests perform rites and offerings to the moon to begin the evening, praying for good harvests and happiness. There is even a "concert" of sorts, with young monks singing the words of a classic sutra. 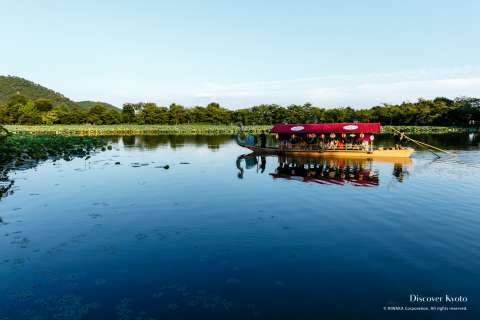 Held over a period of several nights, those who wish to ride in the boats can buy tickets on the day in front of the temple for 1,000 yen and choose between four time slots, available on the hour from 5 pm. 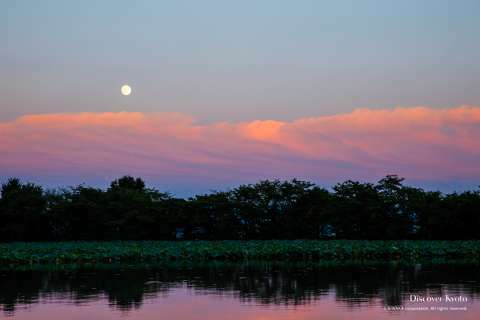 Watching the full moon rise over the horizon and climb steadily in to the sky while casting its reflection on the picturesque lake below is a beautiful sight to enjoy. Maybe you'll even be inspired enough to write a poem like the nobles of old?